Tickets are now on sale for the relaunched Barry Sheene Classic and the International Gold Cup at Scarborough’s famous Oliver’s Mount road racing course. Duke Marketing will be managing and selling tickets in partnership with the new commercial operators of the circuit who have taken on the resurrection of Olivers Mount’s stunning parkland course. Duke bring a wealth of marketing experience and expertise to assist the new promoters Eddie Roberts and Mick Grant who will run Olivers Mount Races. The racing itself will be organised by the newly formed TwoFourThree Road Racing Association. “Since the announcement we’ve been inundated with requests, and we’ve been working tirelessly to get the ball rolling. Duke Marketing have brought their expertise to the table and we’re now ready to go live,” said Oliver’s Mount boss Eddie Roberts. Dates for the popular meetings were confirmed earlier this month, with the Barry Sheene Classic set to celebrate the return of racing to the Course on 27th and 28th July, followed by the always hotly contested Gold Cup in September. The Gold Cup, which has previously seen wins for Guy Martin, Dean Harrison, Mick Grant, Geoff Duke, Barry Sheene and David Jefferies, takes place from the 27th to the 29th of September. 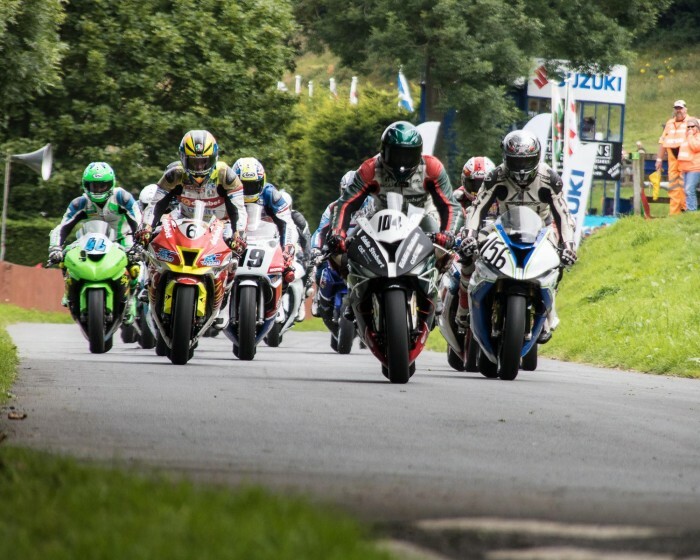 The exciting news that motorcycle racing is all set to return to the iconic Olivers Mount, the only English road racing circuit, has been welcomed by race fans and has gained huge interest from national and international press. Just a few weeks after announcing racing is set to return to the legendary track, the organisers say they are excited to ‘press the starter button’ and announce tickets are now live.